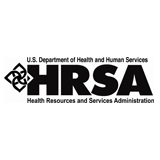 For many years the Health Resources and Services Administration’s (HRSA) HIV/AIDS Bureau (HAB) has worked to increase access to hepatitis C treatment for HIV-infected patients in Ryan White-funded programs. One important initiative is the Hepatitis C Treatment Expansion Initiative of Chester, Pennsylvania, and Siouxland Community Health Center of Sioux City, Iowa. They shared their rationales for integrating HCV treatment into their practices, highlighted steps they took to develop and begin delivering these services, discussed clinical issues about HCV treatment, and shared lessons learned. Outcomes to be measured across all sites include the number of HIV/HCV co-infected patients treated or not treated for hepatitis C, barriers to treatment, sustained virologic response, services utilization, and cost; grantees are also encouraged to conduct projects designed to investigate local issues that affect HCV treatment in their populations. Project ECHOâ¢ (Extension for Community Healthcare Outcomes) is a telehealth program developed by the University of New Mexico to increase access to specialty care for individuals living with hepatitis C, HIV, addiction, chronic pain, complex diseases, rheumatologic disorders, and terminal illness, among others. Several Ryan White grantees are among the organizations around the country that have adopted Project ECHO™ to improve access to specialty medical care. For example, Community Health Center, Inc., of Connecticut (CHCI) launched a telemedicine model in January 2012 to expand hepatitis C and HIV treatment throughout its entire network of health centers. Each remote site has a local champion who gets CME (continuing medical education) credits and training experience in hepatitis C and HIV by participating in weekly calls with the central expert team via videoconference technology. CHCI shared that some of the challenges in implementing this telehealth model have been primary care providers lacking sufficient time to invest in weekly calls, lack of expertise in hepatitis C or HIV care, high turnover rate of providers, and patient trust in the model. However, several mid-level providers (nurse practitioners and physician assistants) have become the “ECHO-ist” for their clinical site and have proven to be a committed group of providers, particularly around hepatitis C care and treatment. In addition to clinical collaboration, Project ECHO™ and AIDS Education and Training Centers (AETCs) are working together to increase access to hepatitis C care and treatment. The Northwest AETC, managed out of the University of Washington, launched an ECHO™ program in 2009, which now supports expanded care for hepatitis C, HIV, addiction, pain, and complex diseases for individuals living in Washington, Alaska, Idaho, Oregon, and Montana. There are 20-25 active clinical sites that review 15-18 cases of hepatitis C on a weekly basis. Since its inception, about 400 hepatitis C patients have been reviewed by the expert team. Qualitative data suggests that participants enjoy project ECHO, and clinical outcomes have been similar to the existing literature. These are just a few of examples of approaches underway across the Ryan White HIV Program to address viral hepatitis. As we continue our efforts to deliver high quality HIV care to clients and collaborate with federal colleagues to implement the Viral Hepatitis Action Plan, we will continue to share information about successful approaches that can be adapted by others both in and beyond the Ryan White network.HAB colleagues Adan Cajina, MPH; Diana Travieso Palow, MPH, MS, RN; Tracy Matthews, MHA, RN; Marlene Matosky, MPH, RN, and the Ryan White grantees mentioned in the article also contributed to this post.